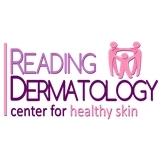 Reading Dermatology (West Lawn) - Book Appointment Online! The doctors and staff at Reading Dermatology are compassionate, caring, experienced, highly educated, and dedicated to all our patients. Our providers specialize in the diagnosis and treatment of a wide variety of skin, hair, nail, and dermatologic conditions. We gladly offer many cosmetic and skin care procedures that will make you look and feel your best. At Reading Dermatology we don't just treat individuals, but whole families…from the infant to the elderly. We are dedicated to providing our patients with the highest standard of care in a warm, professional and family oriented atmosphere. Feel free to contact Reading Dermatology to make an appointment as we look forward to getting to know you and assisting you and your family with your dermatology needs. Visit went very well, Doctor was very professional and willing to answer any questions and explained everything very well. Very good support staff from front desk through the assistant. Highly recommend. This was my first ever trip to a dermatologist. I didn't know what to expect. Todd was VERY informative and helpful, while being laid back and humorous at the same time. He offered me a lot of information and I am excited to start my journey to a better complexion! Thank you! She was very friendly, understanding and knowledgeable.